Rok of the Reds 3 & 4 out NOW! Been a while since I updated this site. Better late than never. 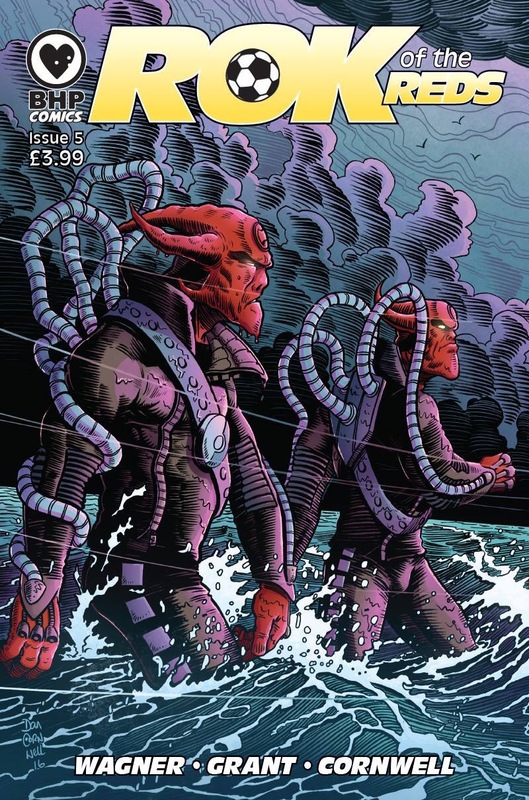 Well Rok of the Reds issues 3 & 4 are now available. You can purchase them through BHP COMICS or by contacting me direct through my Facebook page. The copies that I have will be signed by John Wagner and myself. What with Christmas just around the corner what could be better than a gift of Rok to that special someone. Issue 5, the penultimate issue will be available in early January. 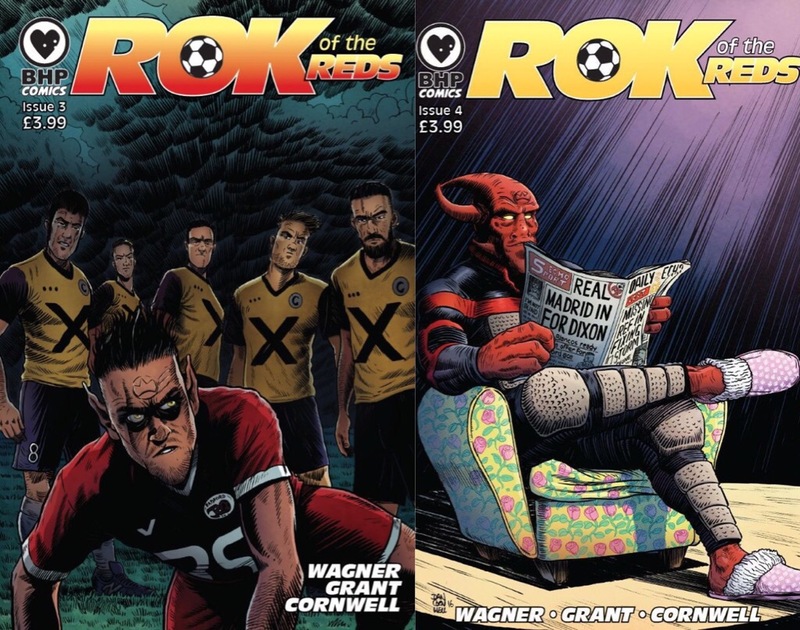 Rid those January blues with some Rokkin action for our favourite alien football ace, Rok! We’ve had wonderful feedback from fans and comic journalists. Some saying it’s the best independent comic out there. 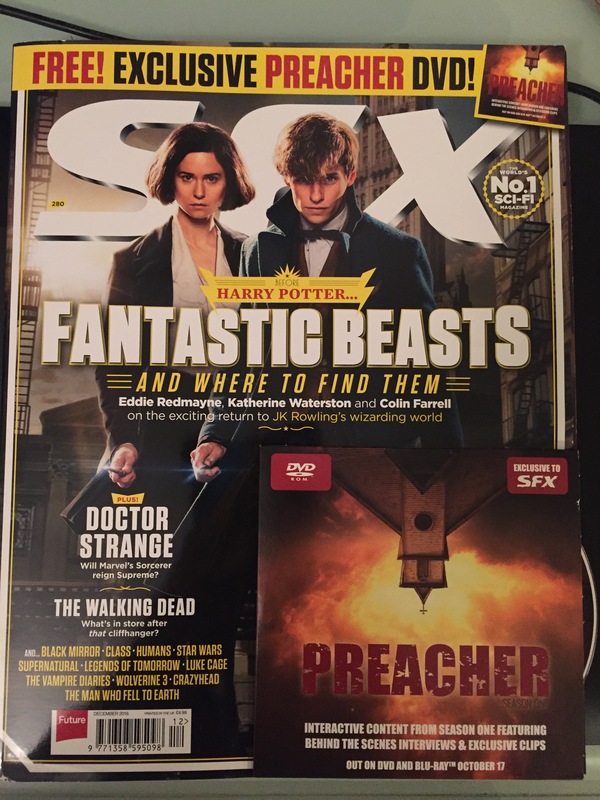 Check out the latest issue of SFX Magazine who reviewed it and rated it very highly indeed. Well, why wouldn’t they? There will also be a feature in When Saturday Comes football magazine in the new year sometime in which John and myself were interviewed.